MOSFETs are on the cutting edge of the latest advancements in various Radiotherapy applications, including External Beam Radiation Therapy and Brachytherapy. 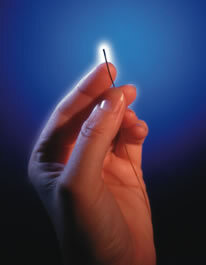 The unique technology of MOSFETs also allows effective monitoring of real time patient dose, in Radiology applications, such as fluoroscopy and CT (computed tomography). Another popular use for MOSFET dosimetry is in Volumetric Arc Therapy (VMAT) (PDF).